According to Urban Dictionary, geeks are “the people you picked on in high school and wind up working for as an adult.” Of course, there are plenty of software and hardware developers that don’t fit the typical “geek” profile. Most clean up quite nicely and are comfortable talking about a wide range of topics from pop culture to hard science. However, you can’t deny that some are geekier than others. “The Big Bang Theory” TV sitcom is one of the best examples of how cool it is to be a geek. Sheldon Cooper and his mates live in Pasadena, California near CalTech, painted as a funky place to live and hotbed of brainy types. But what if Sheldon Cooper or another geek (let’s call him “Keith”) would like to move to a different city that will suit his needs both in the present and for the next decade? Pasadena, sadly, doesn’t make the top ten. We live in an age where comic books are made into big blockbusters and the new Star Wars movie is one of the most anticipated films of the year. 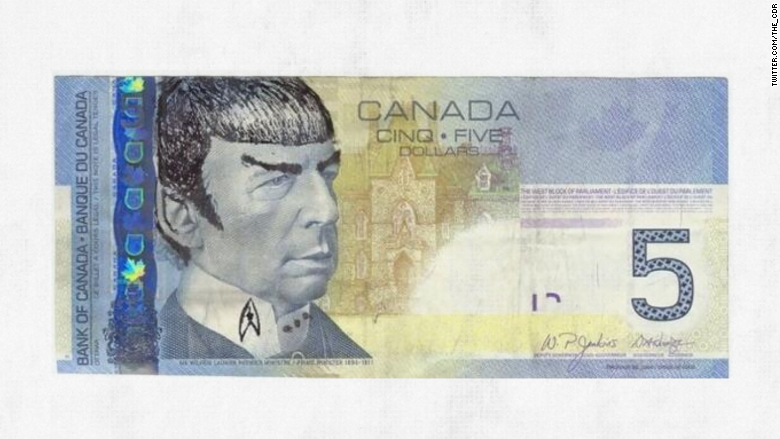 Canadians have even put Spock on their five-dollar bill. You’d think the geek has inherited the earth. But what determines the best cities for Geeks or Techies in the US? Some of what we discovered may surprise you. The first thing Keith, our friendly developer moving from Pasadena, would do is look for a new job. While startups get a lot of media attention, they represent a fraction of the tech world. Many technology workers are employed by tech giants, financial firms, bio-medical companies, and government. Keith starts browsing the web to find out where his best bet would be. He finds a lot of data and opinions. The Huffington Post in collaboration with Citi has determined the top eight cities ‘that should be the next destinations for burgeoning techies’. Nerdwallet is determining ‘America’s most innovative tech hubs’ using number of patents per 1,000 residents and financial support for innovation. After reading these, Keith is still wondering where he will get the best job. To help Keith, we tried to get a clearer picture of where technology thrives across the USA. The US map in terms of the amount of technology usage looks like this. The darker the shade of blue indicates higher the absolute technology usage. The darker the color on the map, the more tech indicators we found in that county. Looks a lot like this https://xkcd.com/1138/? Well, this is exactly the point. Technology is not some mysterious niche occupation that only people in Silicon Valley and Boston have. America is by and large becoming “Tech Nation”. Technology is strongest (darkest areas) in large metro areas and in known technology hubs like New York, Boston, San Francisco and Seattle. However, strong clusters also exist around Chicago, Detroit, Florida and Washington DC. As can be seen, many of the “Techiest Cities” don’t have a vibrant startup community, but they do have a lot of technology jobs. This is different than the common story linking startups to a strong tech scene. We then sought to compare the top tech cities to each other. We looked for signals of the following technologies: Windows, Unix, iOS, Web & Mobile application development. New York – Silicon alley has more programmers than San Francisco proper. Of course, it’s hard to beat the whole Silicon Valley for programming jobs per capita but on a city-to-city comparison, NYC wins. New York has a very active tech startup scene and the financial district is in permanent need of technological assistance. Mayor Bloomberg was also very supportive of the start-up scene during his tenure. Keith will have a lot of options to live and play in the big apple. Chicago – Chicago ranks high across the board on technology (2nd in C++ developers). Surprisingly, the city doesn’t get too many press mentions in that respect. However, having top tier universities and a vibrant job market makes Chicago a strong contender for the “best secret” in the tech world. With the recent success of Grubhub & Groupon and an entrenched Motorola, this is a great tech city. However, Chicago does lack a vocal startup scene compared to other hubs like Austin or Boston. San Francisco – San Francisco is the #1 start-up hub, leading in terms of new companies, VCs and support from the eco-system. The city also has the advantage of pooling resources from the entire Silicon Valley. Downside, it has a very volatile and competitive jobs market and high cost of living. Keith loves that being a geek is cool in SF, along with the innovative spirit and great weather. However, he may be looking for something less expensive and competitive. Houston – Home to some of the wealthiest zip codes in the US and many successes in the energy and life sciences industry, H-town is taking a new direction. Many startups look to reinvent the fields traditionally championed here. Coupled with the low cost of living and diversity, it could be a great city for Keith. Washington DC – Surprise! The government uses a lot of technology. However, the DC area is for more than just government contractors. We seem to forget about AOL’s hometown when we talk about very successful tech companies. DC is especially high on Microsoft technology, being #1 in Windows. Frank Underwood may be low-tech (remember your email is made public when you run for president), but Keith can find a lot more around DC. Atlanta – The new kid on the block, Atlanta has a tech market as big as Seattle, and a startup scene comparable to that of San Diego. Overall not a bad combination. Atlanta has a pretty solid mix of “new age” tech such as Mobile, and “legacy” tech such as Unix and Windows. If Keith also likes Southern food maybe this is the right place. Dallas – Dallas is home to giants like Texas Instruments and AT&T. Dallas has been a leader in technology since World War II, but now people like all-star investor Mark Cuban (who also owns the Dallas Mavericks) are encouraging the start-up scene. It also helps that there is a pro-business tax code and political environment. The area is strong on Windows, .NET, Unix and is similar to DC in terms of the technology profile. Seattle – Not so shockingly Seattle is on the list. More surprisingly, Seattle is very high on Android and Unix (sorry Microsoft)! With an especially vibrant start-up scene, and more technology indicators than Austin or Boston, Seattle is an all-start tech city. Boston – Strong on startups, but not as strong as they seem in more established tech companies. This might be due to many start-ups moving out of the city proper. Overall less tech indicators than Atlanta, Washington, Houston or Chicago. Austin – The fastest growing city in the US & Texas music capital is very appealing to young techies. It’s affordable and good for boot-strapping, not to mention the second city to get Google fiber. SXSW is one of the biggest tech events every year. Austin has a vibrant up-and-coming startup atmosphere, and it ranks especially high for new hot technologies such as Python or Android. It has much less of the older more established technologies such as C++ or Unix technologies. Here’s the full infographic of our research. Simply copy and paste the code below to your website. Please include attribution to www.mintigo.com with this graphic. So what do we predict will happen over the next 5 years? We can expect to see self driving Ford F-250 pick-ups instead of Priuses in 2020. Maybe the first smart city will not be on the pacific ocean? For all you food chains out there – Espresso and Vegeterian food options in the Carolinas, Georgia and Texas are going to be huge. Remember – techies convert Kale and Caffeine into lines of code. Taylor Swift will perform on the 2020 TechCrunch Disrupt! Keith is still very confused. Does he want to work at a startup or a corporation? What language does he want to program in? Does he want to help build the startup culture or plug right into an existing ecosystem? More importantly, does he want to wear flip-flops or boots? Once he knows the answers to these questions, he will know where to move. Good luck Keith!